You've probably noticed I haven't been blogging much lately. This is partly because I am very pregnant and exhausted. It is mostly because I am so busy learning some new thinking. I have had the good fortune to have met some new friends. New friends are usually a good thing anyway, but in this instance what makes it so awesome is that, due to their life experiences, these new friends think very differently than any other adult friends I've had in the past. And they are challenging me in ways I didn't anticipate. I will be writing more about this process at "Different kinds of normal" in a while. I have a post still in draft form there, but it's going to be a while before it's ready as there is so much going on in my mind around it. The impact these new thoughts and learning I'm doing will have on this blog is that the blog name and URL will soon be changing. 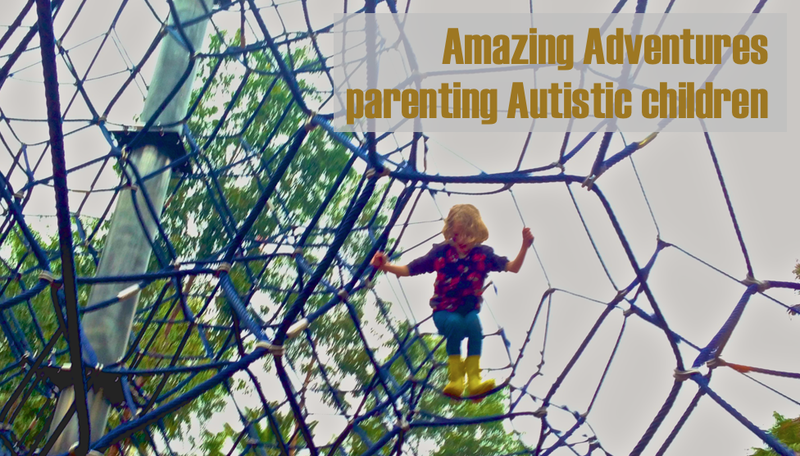 This blog is about my journey parenting my Autistic children. I want to keep the focus there, as a way of recording things for the future, and as a way of communicating with other parents who are on similar journeys. The name I chose for this blog initially is a good reflection of where I was at a year ago. But I am no longer comfortable with it. I am concerned that it has too many negative implications. I am also concerned that it sends the wrong message if people don't read the explanation I wrote. Words and their meanings, both official and implied, are so important. I do not want mine to be hurtful, misleading, confusing or offensive to anyone. So- a change is due. When I have made the necessary adjustments I will post the details of the new URL on the Facebook page. I will also be creating a new Facebook page with the new name, but will leave the old one active for a while so that people who want to come over to the new one have a chance to see what's going on. Please be patient- there will no doubt be hiccups as I go through the process of changing links in articles and such. Hopefully I won't lose too many of you along the way. The key thing is that I will still be blogging here, and sharing my journey with you..... and what a journey it is. Learning, growing, changing, evolving. Hoping to become a better person and a better parent as I go along.